Our March 20th meeting will be at the Nebraska Outdoor Education Center in Lincoln. We'll be having a Tie-In for Ted True Trout - The popular Spring Fling action item. More information on the May 11th Spring Fling Banquet Here. We’ll have a full raffle and our Fly of the Month contest (Woolly Bugger). Check our Fly of the Month tab if you need inspiration. Doors open at 630, meeting will officially start at 7. Hope to see you all there! Tuesday March 12th will be our monthly Bugs & Suds Tie In at Backwoods Omaha. 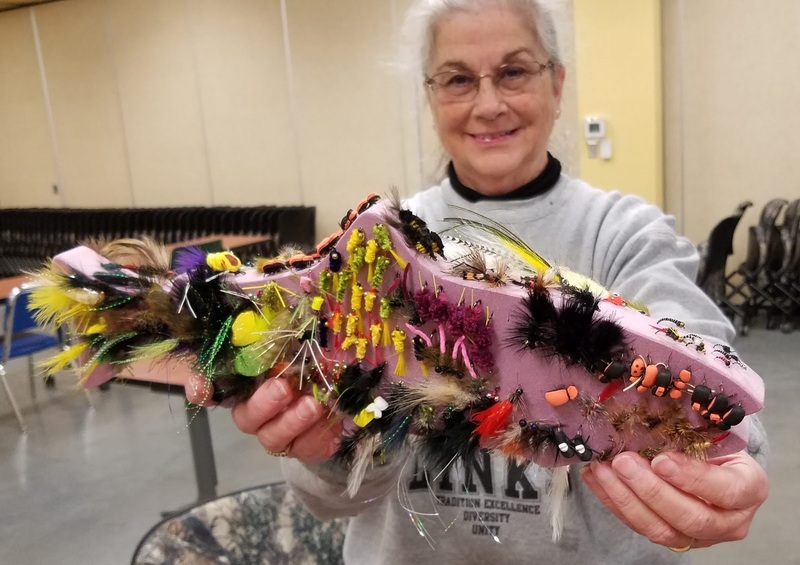 Bring your fly tying materials and your favorite beverage and hang out with some great fly fishers! We will have a club Tie-in Saturday the 23rd at the Outdoor Education Center in Lincoln from 10am to 2pm. Please feel free to bring a potluck dish and your fly tying materials. We need to fill Ted True Trout!